If you’re active on Instagram, chances are you’re already following Frenchie World, the largest french bulldog feature page on the planet, which has just surpassed the whooping 700,000 followers count. 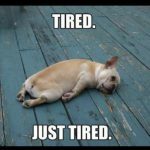 This thriving community is run by Alexander Gligoric, who is carefully selecting the most amusing frenchie videos and photos, sent to him by frenchie owners all over the world. Alex is also a breeder of rare colored french bulldogs and he’s befriended many celebrities who got their frenchie from him. How did you come up with the idea? Why french bulldogs? Well, my father has been a breeder of french bulldogs since the early 1970s. So it’s a kind of family owned kennel. I was surrounded by french bulldog puppies from the earliest days of my childhood. I remember playing with them in our backyard everyday. I guess it’s the most beautiful childhood you could possibly have, you know?! I was like a Mowgli kid among bulldogs. I wanted to continue my father’s legacy, and while he was a breeder of regular frenchies, I decided to specialize in rare colored ones. I was always fascinated with unique colored french bulldogs, such as blue and tan, liliac, chocolate and brindle, and so on. Health of dogs is of a great importance to me. 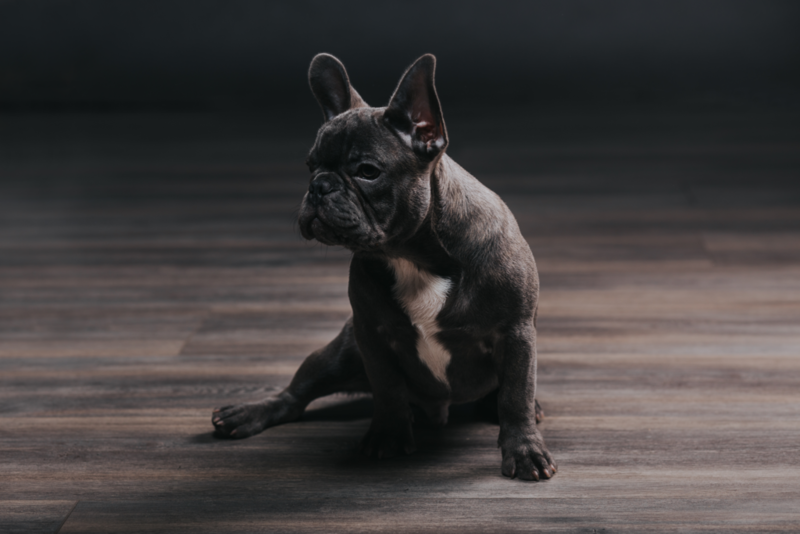 It is a very delicate process – creating a french bulldog of an unusual color without affecting the genes and harming the breed, and not many breeders have the right knowledge to do that. The vast development of genetic research in recent years has gifted us precise scientific methods on how to select the right parents to obtain a healthy, rare colored offspring. I take this very seriously and we all know this is a hot topic in our community. All of my dogs are 100% healthy and a lot of them have become dog celebrities with their own Instagram accounts! Tell me something about your Instagram page? How did it grow to staggering 700,000 followers? 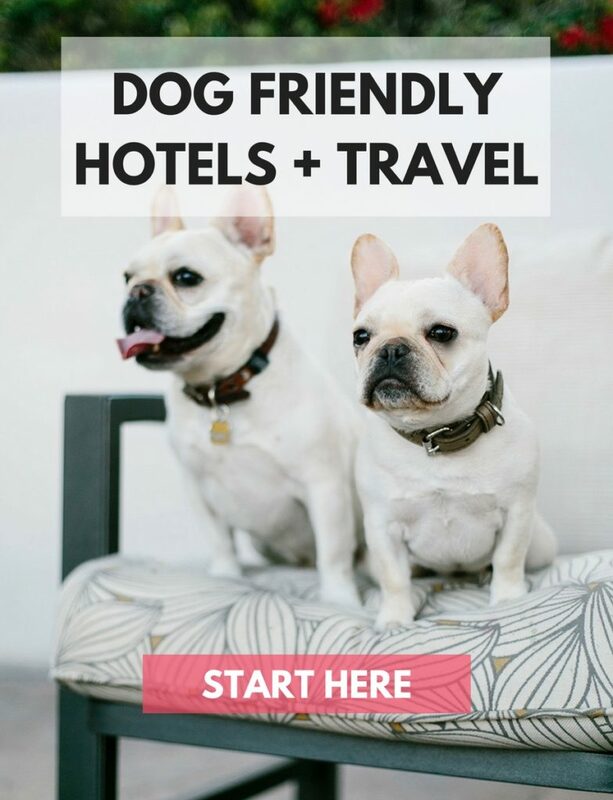 When I first found about Instagram—I think it was in 2011 or 2012—my first reaction was, “Man, this social network is perfect for french bulldog photos.” I saw it as a media for presenting sweet and charming things from our world, and you can’t get more charming than a frenchie, right? I started the account with images of my own frenchies. By the way, I was a fashion photographer for many years, so I knew how to create Vanity-Fair styled photos of my dogs. These photos instantly became viral, and I still see them all over the web. When the Instagram account got traction, I started receiving hundreds of images from frenchie owners every day, every hour. 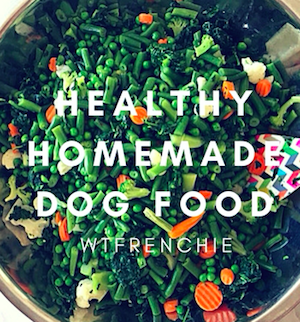 Everybody wanted me to feature their dog on Frenchie World, so I started curating the most interesting ones, and publishing them. Many of the now-famous french bulldogs of Instagram have actually been launched into stars from the Frenchie World. I was like a casting agency, with chubby little gremlin models, lol. What is the criteria you use when deciding what to publish today? Well, first it was just finding the most beautiful images, you know, with the best lighting and color palettes, but then I realized people want to see more of the “realistic” photos, usually where a frenchie is in some kind of silly pose and amusing facial expression – which is very easy to produce when you have a frenchie, that’s for sure. But the true game changer was the introduction of video on Instagram in 2015. It allowed me to present frenchies doing things – and that’s when the whole new world of possibilities is open. No other dog breed can look so amusing when shot on video. Every activity, every situation where a frenchie is interacting with something – it always looks funny in a new, unique way. With some other breeds it’s like, you’ve seen 10 videos, you’ve seen them all, you know? But with frenchie, it’s an endless world of possibilities. What about the Frenchie World shop? 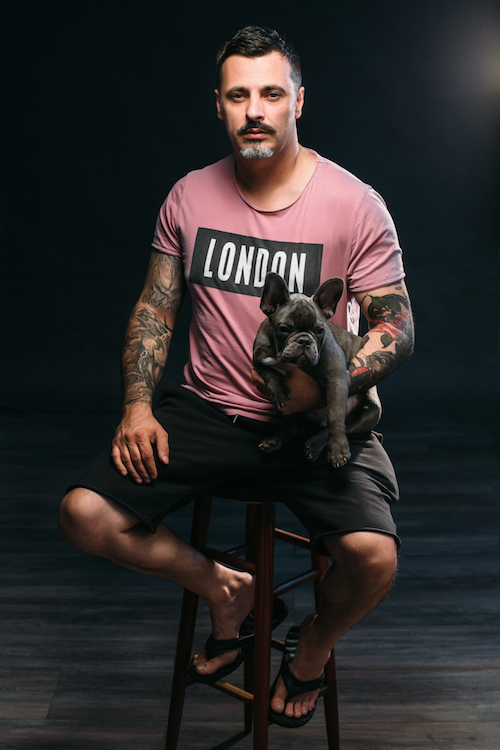 I had a vision of creating an online store for all kinds of clothing for french bulldogs. It is a very unique dog in terms of the body shape and proportions. Most regular dogwear is not suitable for frenchies and I knew this was the problem their owners had for years. 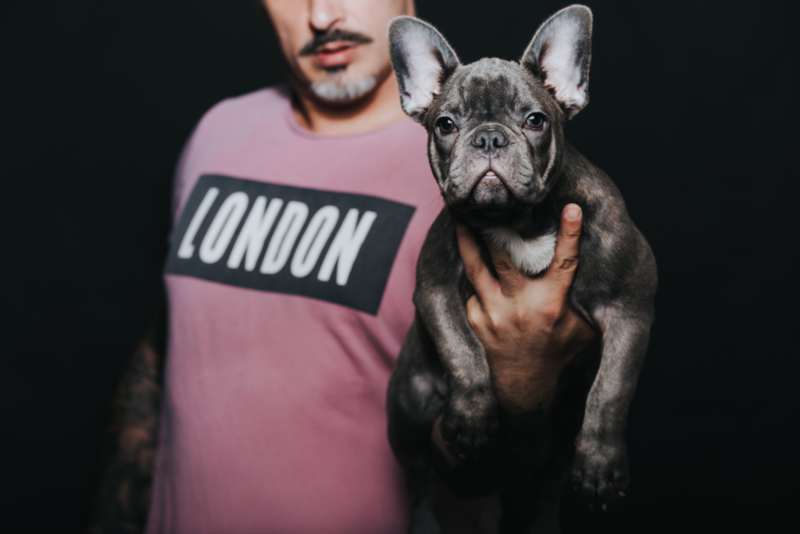 So, I started working with a small pool of designers who are making french bulldog clothes. I know frenchie owners are very picky and have attention to details, so I have selected only the best looking products. Today, there are around 200 items in the shop. First, a large selection of coats and jackets for frenchies. Then I have some badass hoodies that are absolutely adorable—also sweaters, shirts and pajamas, all crafted for the french bulldog body shape. There are also some very funny houses and beds for french bulldogs, items for wrinkle care, food and water bowls specificaly adapted to their flat faces. 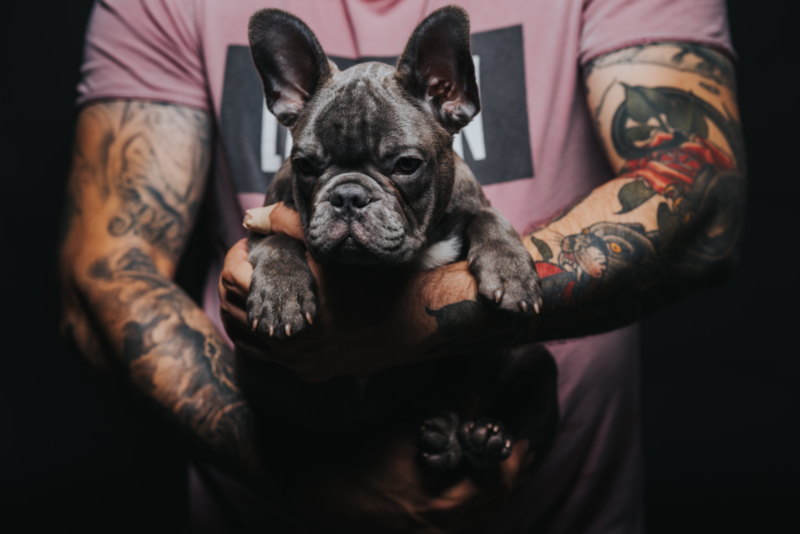 Of course, owners can find all kinds of french bulldog clothes for humans, also some frenchie jewelry, then home accessories such as french bulldog pillows, mugs and much more. You applied your knowledge from the fashion photography to create beautiful portraits of frenchies. Do you have any tips for our readers, how to take photos of the french bulldogs? Well, the greatest thing with the frenchie is that he or she will always look straight at the camera. Most dogs will shy away, but for some reason, frenchie loves the camera and that fact alone is halway of the job done. Remember to always disable the flash, as the dog can become annoyed by it! Once he starts associating the camera with something bad, you won’t be able to make him stare into it any more, and that’s the last thing you want. If you want to take professional photos of your frenchie, it’s best to have a nice, dark background. You can buy a large piece of dark colored paper and use that. As for lighting, best option is to use the daylight from a window, and if you don’t have one, buy a diffuse light source such as a softbox, they’re pretty cheap nowadays. What is your favorite frenchie on Instagram? I love and I can also recommend you to follow, of course, WTFrenchie is one of my favorites. ← What Grooming Needs Does A French Bulldog Have?